You won’t find lower prices anywhere else! Chip and Crack Repair starts at $40! Chambers Auto Glass is your #1 Trusted Auto Glass Company in Baldwin County. We provide the highest level of customer service to each one of our customers. We make sure you are satisfied. Guaranteed! 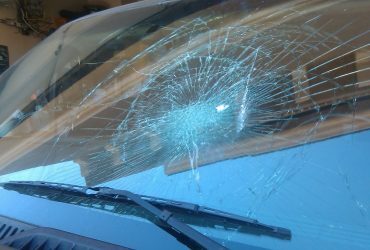 WHAT MAKES US THE #1 WINDSHIELD ROCK CHIP REPAIR IN BALDWIN COUNTY, AL? It’s a nice day outside and you’re driving your car around, suddenly you notice that your windshield has some minor crack or chips! Don’t be so surprise, your windshield is constantly bombarded by pebbles and other kinds of heavy trash that is kicked up during high speeds on highways. It is a huge safety concern than has to be looked at immediately. Leaving them will eventually destroy the entire windshield. The repeated wear and tear on your small cracks and chips will grow and form cracks that can weaken the glass. If your have a chip or crack give us a call at Chambers Auto Glass today and make your appointment! Our certified technicians have all of the new tools, materials, and expertise to restore the noticeable chips, pits, and dents in your windshield. 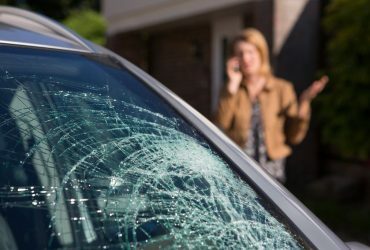 Have a minor windshield damage? We use a special process for our repairs with the use of a vacuum injection device. Our device first pours a clear resin that fills in the damaged portion, then we smooth the area once more while restoring the clarity. Now, if you have a larger crack our device can only mend small chips. 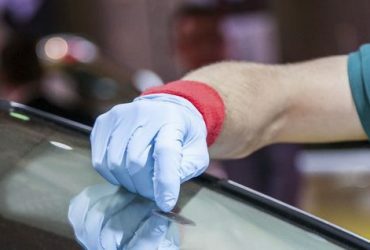 You must settle for a full replacement, don’t worry we have the lowest prices for auto glass replacement in Baldwin County, Alabama! If the damage on your windshield is not a safety concern. Our rock chip and crack repairs start at $45. We are a Preferred Provider of major insurance companies and will file the claim for you. Don’t forget! Most cracks and chips on the driven can be illegal to repair and you will not pass inspection with a repair done in the driver’s line of vision. Not only is this a hazard for you, but a hazard to other people on the road. The crack or chip must be less than the size of a quarter. This means the whole crack or chip must fit underneath the size of the diameter of a quarter. Remember to give us a call! We will help you get your repair done right, the FIRST time! There are MANY ways you could chip or crack your glass. Here are just some a few of the most common! It happens to everyone! A big truck kicks up a big rock and it cracks your windshield going 60. Let’s get that annoying crack patched! We are experts in chip auto glass repairs. If your windshield got a chip or any similar damage we will make the drive to you free. Long Cracks often occur when you already have a small crack, water seeps in and it freezes. Get your glass repair today!